"Blue-Gal" is owned and trained by Colleen O'Farrel. This is the first dog that Col has trained and what a team they have made. Thanks for all the work and effort you have put in, Colleen and Robyn. Blue is an alpha dog in all ways - she has an absolute "air" about her that other dogs respect. She loves people, especially ones she knows, but is affectionate on her own terms. She is very smart, but at the age of nearly 10 years is bored by Obedience, because she knows it all! Blue has a vocabulary of approximately 120 words - she distinguishes the names of her toys and brings back the one you ask for. She loves her food and loves chasing birds! 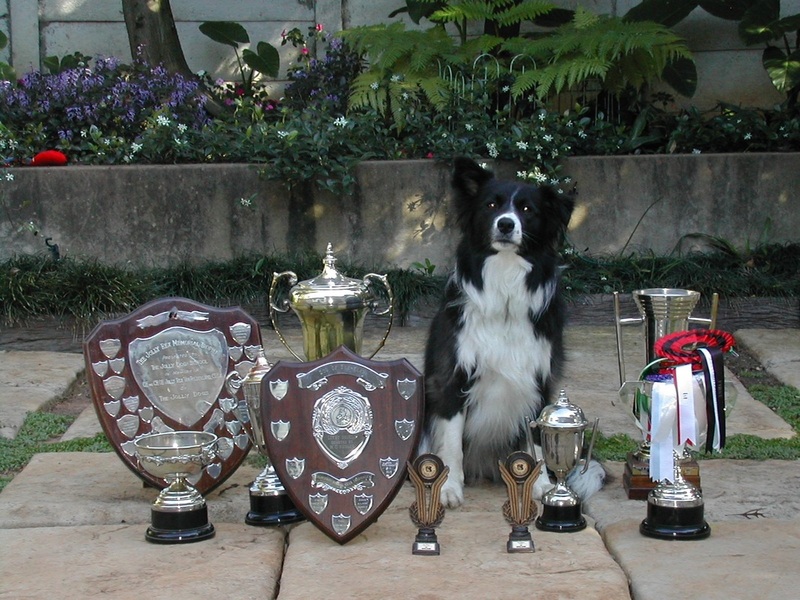 She became an Obedience Champion in 2008. 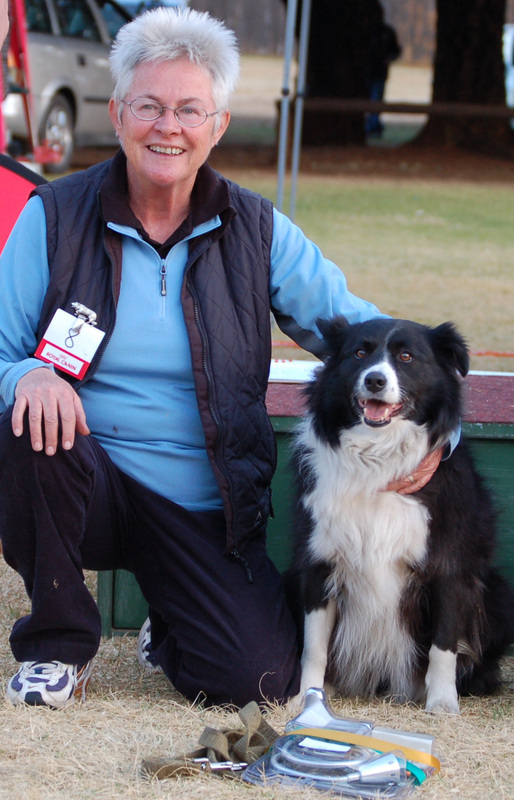 Winner (2008 & 2010) and alternate winner (2009) at Goldfields Dog Training. 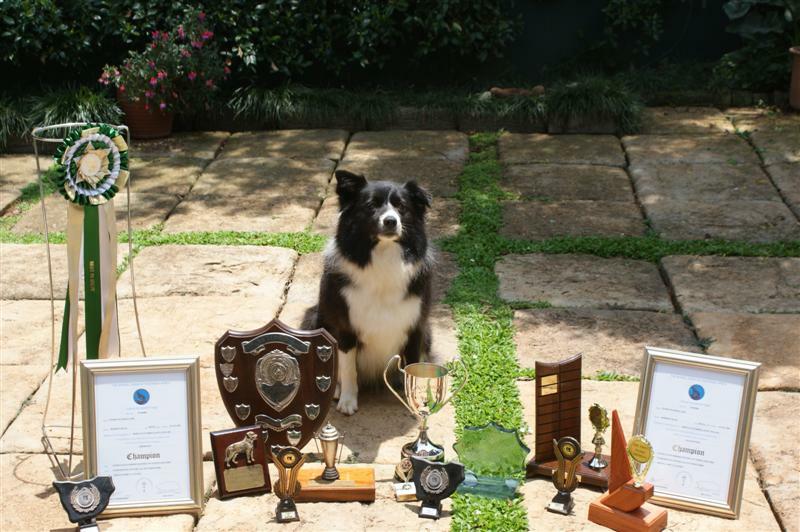 CDex/TD1ex/TD2ex/TD3ex, obtaining her Tracker Dog Champion status in 2008. 14 CC's in Tracker Dog 3. She is now competing in Veteran Tracking Trials. It was with much sadness that we heard of the passing of 'Blueby'. Our hearts ache for you Col & Robyn, there will always only be one Blue. Thank you for all the years of devoted training, loving and care. Till we all meet again, run free Blue.